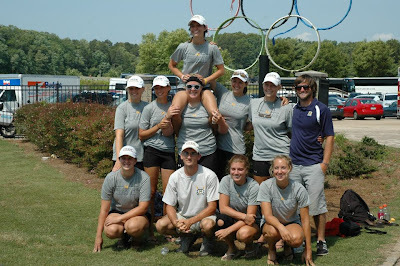 Another season of Murray State Rowing is almost in the books. 17 years as a club....if only those erg room walls could talk. How many erg rooms have we had anyways? 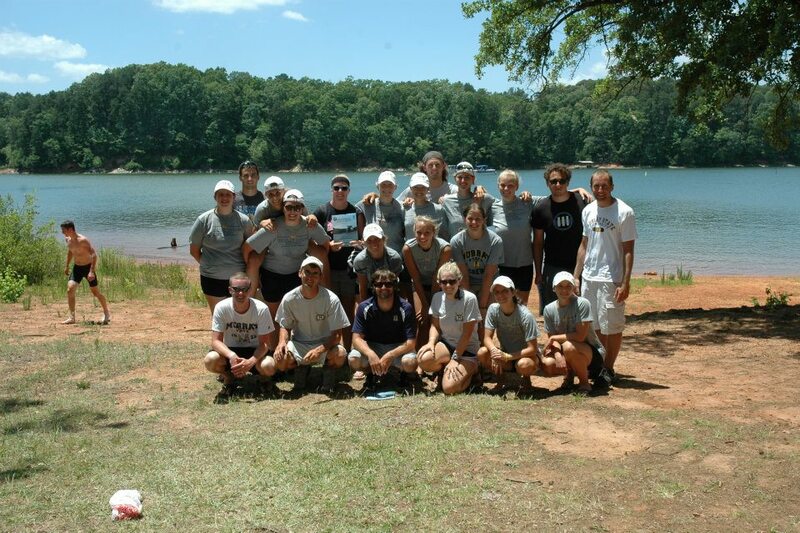 The 2013 ACRA Championship is weeks away and will end this year's rowing chapter. Several great things have occurred this year: 100 plus students attended the call-out meeting thanks to excellent on-campus recruiting; 60 plus students were chosen to represent Murray State in rowing; three top-ten performances at HOOCH; our Women's Novice 8+ earned bronze at SIRA; and an excellent push to make all priority boats the 8+ (Men's Varsity 8+ is the only one lacking). In addition to these accomplishments mentioned above, our season has lengthened signinficantly. Now that we attend ACRA, our student-athletes train for 5 additional weeks compared to when we ended our season at SIRA. Two of those weeks require our rowers to stay after graduation weekend and postpone their summer vacations or jobs. This year marks our 3rd year to attend ACRA and our first year to compete in three 8+'s events: Women's Novice and Varsity 8's and Men's Novice 8. Also, we'll have Novice Men's and Women's fours, and a Men's Varsity 4. (Last year we only took an 8 and two 4's!) Additionally, we are nominating 15 student-athletes for All-ACRA Regional awards. Hope all can continue to keep track of us as we head to Gainsville GA! 2012 ACRA group photo. This year, 41 student-athletes will race compared to 19 last year. How many erg rooms have we had anyways? During the first few years we went back and forth between the Athletics weight room in Stewart Stadium and the gymnastics room at Carr Health (before the building was extensively remodeled). I think that for the majority of that time, we kept them in Carr Health. From 1999, the ergs were stored in the rifle range at Stewart Stadium. So that's at least 3 places so far. We also had a bunch of ergs in the Cherokee Park boathouse at one time--although I don't remember the Men's club using them that often....The women's club might have been using them there before/after water practices--but I don't know. Where else have they been stowed before we moved into the McLean room? Seems like a location is missing... Anyone? Dan--remember the first few weeks in 1996? We actually kept the ergs in the main weight room at Stewart Stadium....But we moved them to Carr Health right around the point when we started water practices. I also have a fuzzy memory of us using that weird weight room in Carr Health that was up the stairs, kind of above the faculty locker rooms and the back wall of the pool....Not the one by the North Gym....it was kind of in the dead center of the building. But I might be wrong about us using that space as an erg room. What I can remember...old rifle range, across from the training room in the basement of stewart stadium, 3 more different rooms down from the Weaver Center, basement of Curris, and now in the old baseball locker room.